Dubai: Let’s face it — it’s not enough for you to just switch off your lights for 60 minutes on Earth Hour this Saturday. Promise to do more practical, impactful steps instead. 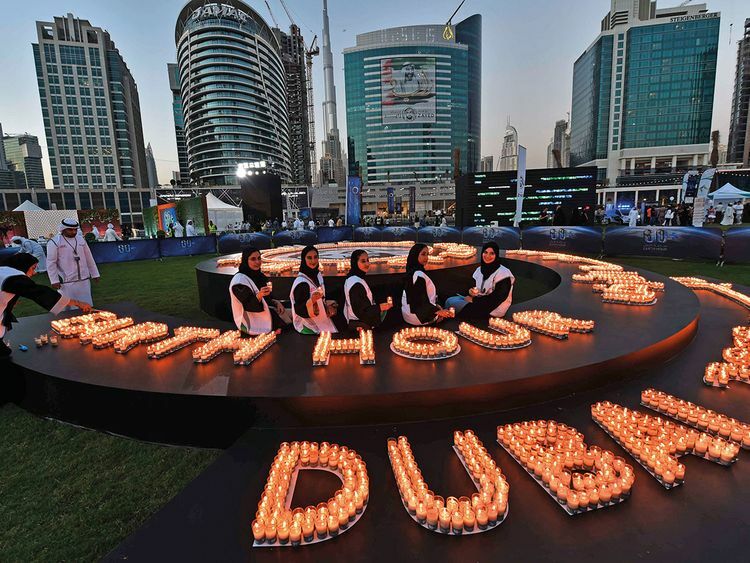 As the UAE joins Earth Hour 2019, the world’s largest annual grass roots movement for the environment, residents have been urged to go beyond the hour of the symbolic lights-out moment. Emirates Nature-WWF, which spearheads Earth Hour in the UAE, on Sunday officially kicked off the countdown to the event and encouraged residents to take concrete actions by making and keeping promises to the planet about conservation. The promises are simple lifestyle tweaks that, when done together, can have ripple effects on mother Earth. Residents may make one or more pledges from these sustainable living options: Refuse, reduce, recycle; be more energy efficient; save water; buy local; use public transport; use single-use plastic; choose sustainable products; get into nature; and avoid red meat. Laila Mustafa Abdul Latif, Director-General of Emirates Nature-WWF, said residents and organisations that would participate in the campaign called ‘Pass it on’ can share their promise on Instagram and “pass the baton on to friends, colleagues, partners or families”. “In this year’s UAE chapter of Earth Hour, we urge each and every resident to take part in this global initiative. We stress that now more than ever, we need to unite, connect to nature and stand together for the planet. Whether it is by being energy-efficient, eating less red meat, using public transport or choosing sustainable products, now is the time to adopt new habits,” said Abdul Latif. Taif Al Amiri, Director of Government Communication Department at the Ministry of Climate Change and Environment, said celebrating Earth Hour has an exponential effect on the planet. “In addition to significantly reducing power use for one hour, the event goes a long way in raising public awareness about responsible consumption of resources to ensure their sustainability,” Al Amiri said. Among those who heeded the call on Instagram is Shaikh Sultan Bin Ahmad Al Qasimi, Chairman of the Sharjah Media Council, who pledged to “protect the environment as pollution is a contributing factor to disasters”.